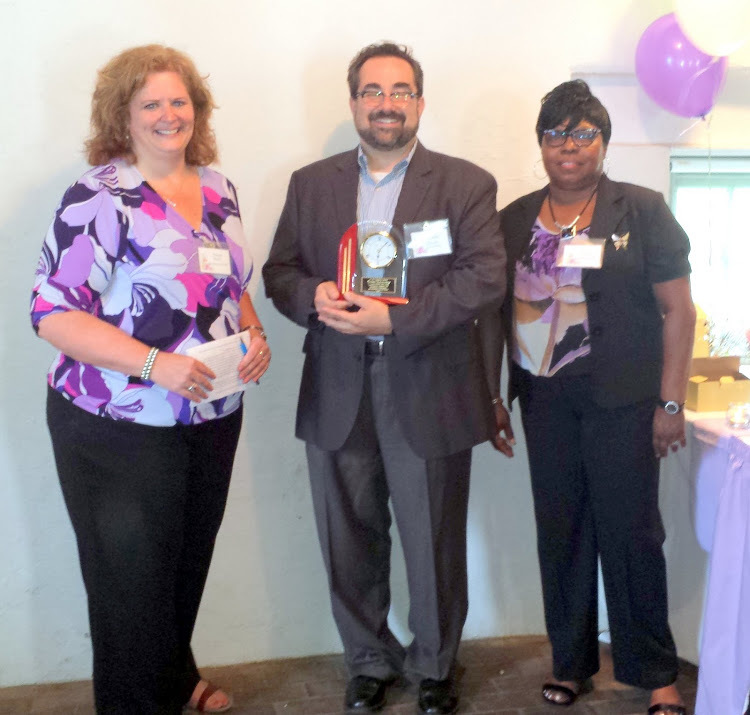 SWCDC Executive Director Donna Henry (left), presents CRP Assistant Professor Jeffrey Doshna (center) the Community Partner Award. At their annual Garden Party on June 16th, 2015, the Southwest CDC gave their “Community Partner Award” to the students in the 2015 Graduate Planning Studio. This was in recognition of their work on the “Addressing Brownfields” report prepared for SWCDC. This entry was posted in Uncategorized on June 18, 2015 by Jeffrey Doshna. What’s in a name? Plenty! 2015 Studio Wins SE Section Scholarship!